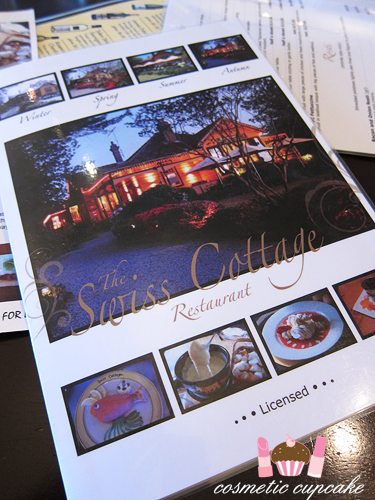 First stop was Leura which is such a gorgeous little town! 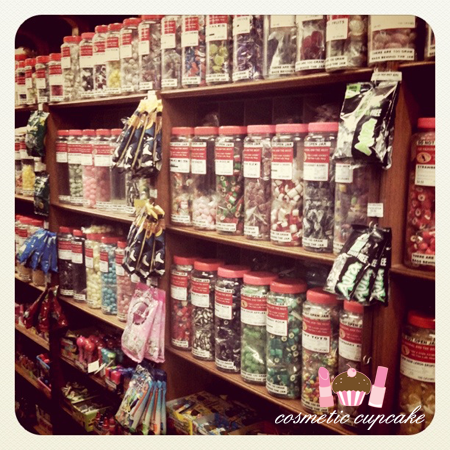 I love the Leura Candy Store (Shop 6 178 Leura Mall Leura, NSW) which is an old fashioned little candy store. Shelves upon shelves of CANDY!!!! Seriously heaven for this sweets guzzler. I bought a few things but unfortunately my family attacked the sweets before I could take pics!! 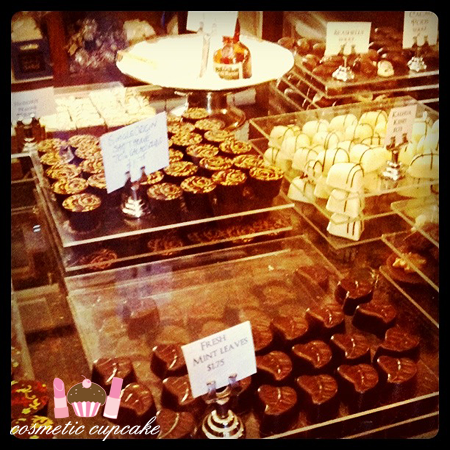 Then we headed over to Josophan's Fine Chocolates (132 The Mall Leura, NSW) for a chocolate hit. 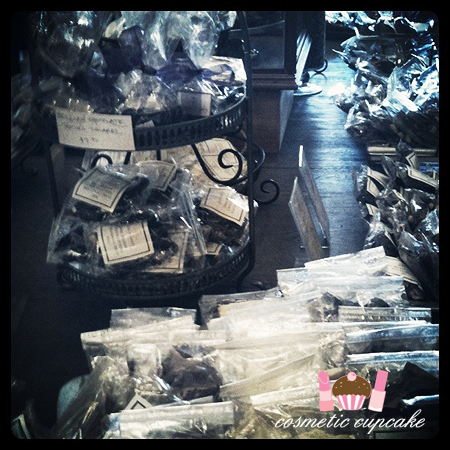 Oh my goodness this chocolate boutique is so calorie inducing! 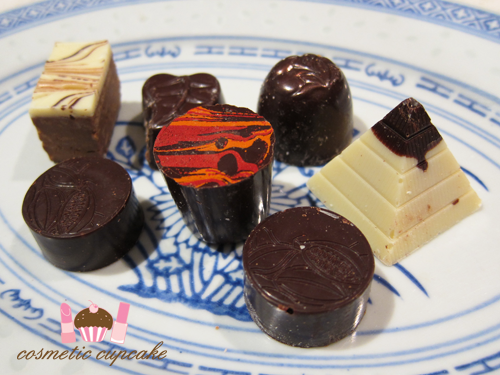 The award winning chocolates are handcrafted on site and the flavour combinations are quite unusual. We picked up some choccies to take home but unfortunately I can't remember exactly what we purchased doh! I know the red one is a chilli chocolate, the pyramid is blueberry and the small round ones are lime and basil I think. Sorry for the crappy plating below - it was late when I got home and had to quickly snap a pic before I devoured them! 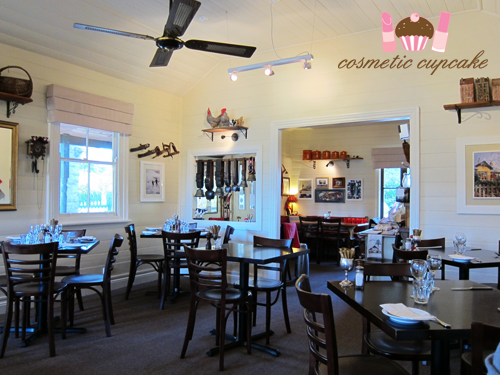 The decor of the restaurant is so quaint! 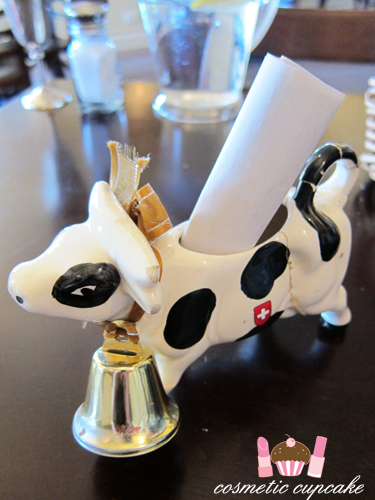 Such old world charm and really puts you in the mood for Swiss/French food. 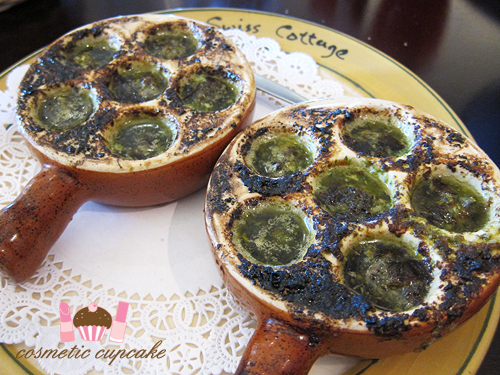 A dozen escargots ($26). So more-ish. So garlic-y. SO DAMN DELICIOUS. 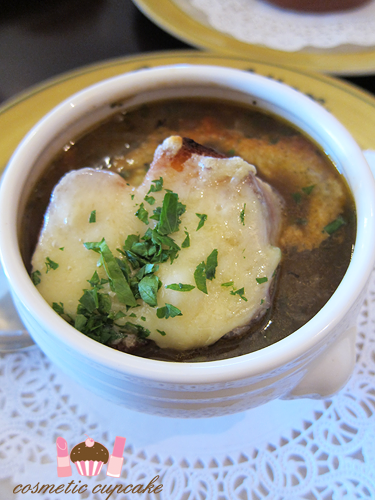 One of the specials of the day French onion soup ($12). 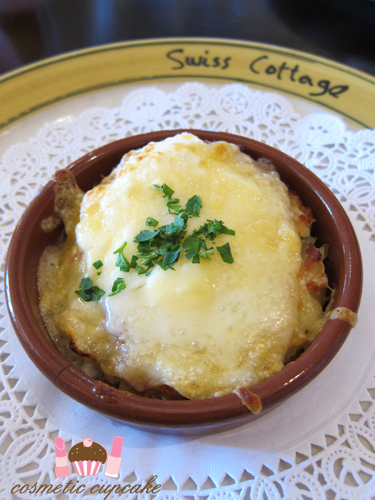 I love French onion soup and I'm hard pressed to find decent ones. This was absolutely delicious and definitely homemade. 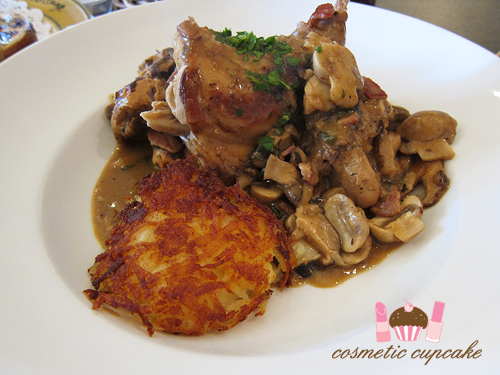 White Farm Rabbit cooked in a basil sauce ($28.50). Last stop was Bakery Patisserie Schwarz (Shops 1 & 2, 30 Station Street Wentworth Falls, NSW) for a slice of cake and coffee or in my case a hot chocolate. 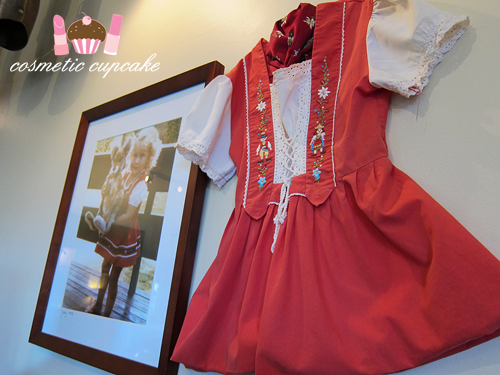 Schwarz Patisserie is a well known German bakery and we just had to make a stop to try out some of the delicious offerings. 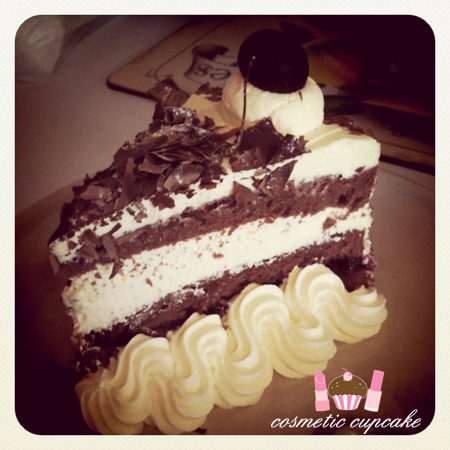 We ordered a slice of the black forest cake and we had to order another straight away!! D isn't much for sweets but he literally inhaled half the slice in 10 seconds. The cherries were the best bit - huge chunks and so tart and delicious - the best black forest I have ever tasted hands down! 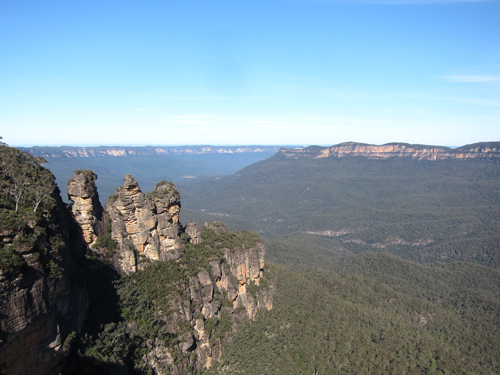 I'll leave you with a pic of the Blue Mountains on Saturday. Could the weather have been any better??! What did you get up to on the weekend? Did you have any food adventures? omg. YUM the food looks amazing. DEFINITELY going there nxt time i'm up there!!!! The cake looks so delicious! Sadly, I didn't have any food adventures this weekend. The sky looks so pretty there! the candy variety is pretty amazing! oh man i've heard so much about Josophan's! dying to head over there for the weekend now! excuse me whilst I go fetch a tissue as I am droooooooling girl! I love the pics too, so pretty :) Haha we have an old fashioned sweetshop here as well called Mr Simms?? Lets just say I'm a regular lol! When you come to ye old england I'll take you ;) hehe!